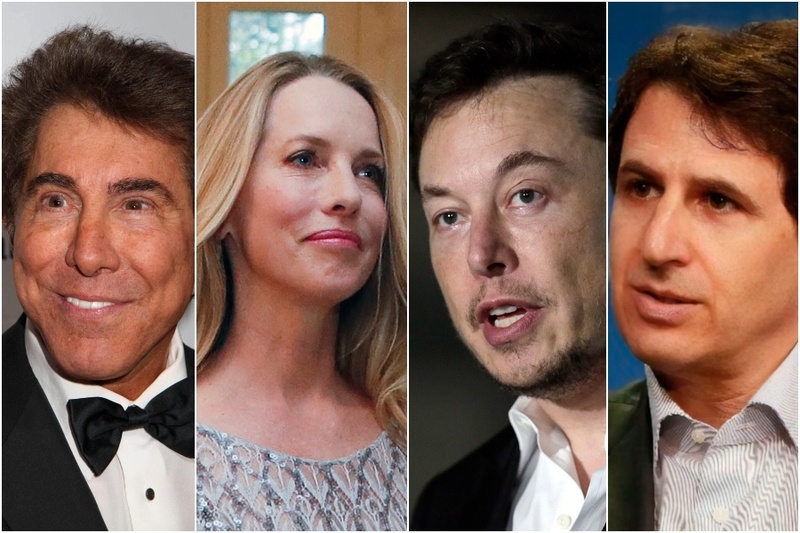 L to R: Penn billionaire graduates Steve Wynn, Laurene Powell Jobs, Elon Musk, and Marc Rowan. This month, Forbes released its annual look at the richest people across the country. For 2018, the minimum net worth to join the group of 400 was a whopping $2.1 billion, and, apparently, a Bachelor’s degree from the University of Pennsylvania also helps. Penn has proven once again to be the country’s top breeding ground for the rich by beating out the likes of Yale and Stanford. This year, a total of 19 Penn graduates made the list, according to UK-based job site Adview. Yale, following Penn, had 13 graduates on the list, and Stanford had the third highest amount — 12. The University of Southern California (12) and Harvard (10) claimed the fourth and fifth most graduates on the richest billionaires list. But just one institution had Penn beat: The school of no degrees. Of the 362 people who had publicly available information on their education, 44 total or 1 in 8 were dropouts. Some of the Penn grads on the list include Tesla Motors and SpaceX CEO Elon Musk, 47,who ranked 24th for his net worth of $19.6 billion. Casino and hotel magnate Steve Wynn, 76, boasts a net worth of $3 billion, which put him in spot No. 271. Investor and hedge fund manager Steven A. Cohen, 62, sits at No. 36 on the list with a net worth of $13 billion. President Donald Trump, 72, came in at 259 for his net worth of $3.1 billion, though his children Ivanka and Donald Jr. who both also attended Penn didn’t make the cut. Marc Rowan, 56, who just donated $50 million to Wharton, has a net worth of $3.2 billion and took spot No. 251. Forbes noted that for the first time Laurene Powell Jobs cracked the top 20. Jobs sits the highest on the list for Penn grads. The entrepreneur, CEO and former Penn Political Science major “has been putting her fortune to work through her Emerson Collective,” a “philanthropic, advocacy and investment entity” that has “backed a variety of initiatives in media, education, immigration and social justice,” Forbes wrote.